Each player’s objective is to line up three pieces in a row. Test your memory and appetite for laughs with this easy to learn and quick game of strategy. Don’t let the cute game pieces fool you because they can gobble you up and change your strategy in the blink of an eye! Players will receive 8 whimsical game pieces, two large, two medium, and two small. This strategy game plays like the classic game of tic-tac-toe with some twists. The major difference is that you can gobble up your opponent’s piece, if it is smaller than yours. 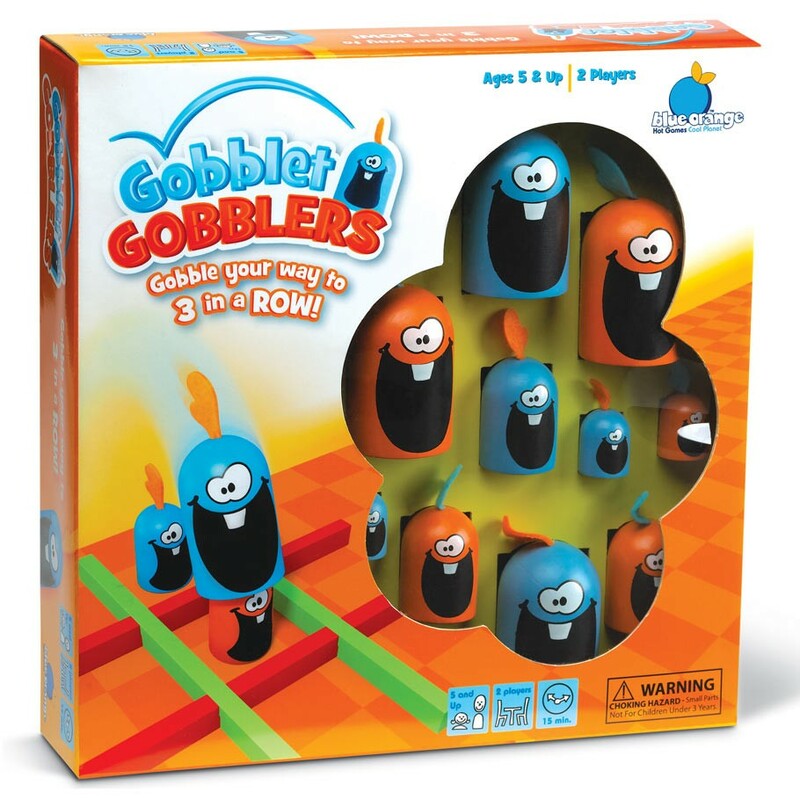 With fun and colorful game pieces, children will love to play this game. The game twists on tic-tac-toe allow children to play a game that they know, while developing strategic skills for kids to challenge parents!